When considering manufacturing, material and production are key elements to determining the overall cost benefits of the various processes. While traditional methodologies such as stamping still have their role to play in the different fabrications of parts, deep drawing manufacturing offers significant savings, in terms of production, over other manufacturing technologies. The viability of these savings are based on the fundamental economics of the process and the labor required to handle these processes. Thus providing a more accurate prediction of production cycle related costs. 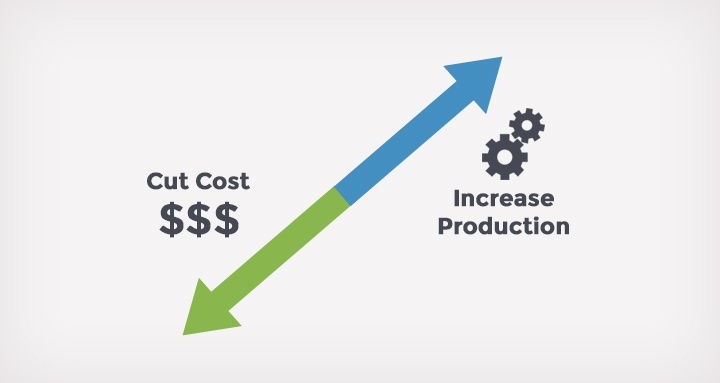 The overall analysis of cost benefits indicate deep drawing manufacturing is more efficient at containing costs and preventing overruns than other methods. Deep Drawn manufacturing has built in fundamentals that represent a significant cost savings to the recipient of the end product It is already an established fact that longer production runs represent lower per unit costs. In addition to this fact, deep drawing manufacturing furthers this cost savings by introducing savings in two of the three primary economic drivers of individual production costs, both labor and material. When coupled with lower lead times and less overhead costs for the manufacturer, these cost savings are transferred to the per unit cost of the part. One of the fundamentals that represent an increase in production capacity and enhance existing savings due to the production length, is the fact that deep drawing manufacturing is less labor intensive compared to other manufacturing methodologies. When viewed concerning labor, less labor is required to produce an individual part thus lowering the per unit cost significantly. Material usage is a primary economic driver of per unit costs, even over the life of the individual manufacturing run. Therefore, any method that reduces this material usage will generate cost savings. Deep drawn manufacturing, while producing a lesser amount of waste, offers such material usage savings due to the fact that less material is required per part than in other comparable manufacturing techniques. Other methodologies require more material to produce the same resulting part than deep drawing, thereby deep drawing processes are cost efficient as well. Less overhead and smaller lead time, added to the better overall fundamentals of the manufacturing process itself shows why deep drawn manufacturing is able to represent a significant cost savings both on a per unit basis and over the life of the production cycle or run. It further explains why deep drawn manufacturing and related methodologies have undergone rapid adoption across the manufacturing spectrum.